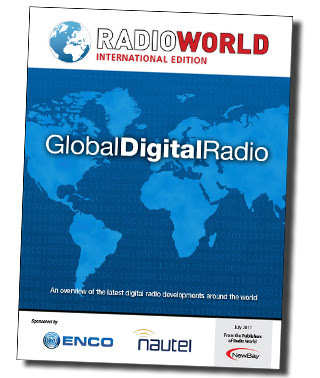 [The January 2019 issue of the Australian Silicon Chip magazine] commences a series of construction articles on building your own DAB+/AM/FM receiver. Australia was the first country to start permanent high powered DAB+ broadcasting which was in Aug 2009. It is now extensively used in Europe but in the UK there are only 4 program streams in DAB+ the rest are in DAB which uses a less efficient audio compression and poorer error correction for noise and reflected signals. Click here to check out a preview of this article at Silicon Chip Online. Thanks for the tip! Readers, please note that Silicon Chip requires a subscription or you must purchase the issue in order to read the full article. This entry was posted in AM, Digital Audio Broadcasting, FM, News and tagged DAB+, Digital Audio Broadcasting, Mangosman, Silicon Chip magazine on January 16, 2019 by Thomas.